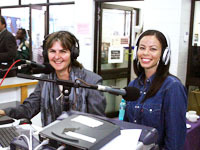 So I have been on various radio and TV interviews as I have mentioned in my previous blog post. I was at The Impact Centre where I went to seek help with my drug addiction for about 9 months, when I got the opportunity to share my story on one of the biggest radio stations in our country, Radio Good hope FM 94-97 fm. I was very excited at the prospect of speaking to and sharing my story with thousands of people and very nervous at the same time. In the past I needed drugs to speak to crowds and here I found myself having to speak to thousands of people that would be listening in. I was even more nervous after hearing that DJ Suga, one of our local celebs was going to be conducting the interview. 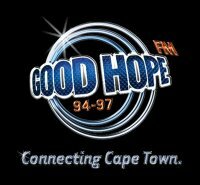 Radio Good Hope FM was covering the scourge tik (methamphetamine) that had hit the Cape Flats. And seeing that I was addicted to this drug, and have overcome it (with the help of Jesus); it made me perfect candidate to be interviewed for this particular show. The day of the interview arrived and I was as nervous as can be. However I knew that this was for the glory of God that I would be doing this. On that particular day they were broadcasting from one of our biggest malls and there was quite a buzz as DJ Suga was present and people came to see her. I was introduced to her and she briefed me and told me at what time I would be on. She then continued with the show and then the moment finally arrived. She signalled me to come to the microphone and where she was seated. She told me in a gentle voice: “Don’t be nervous. Just be yourself”. DJ Suga on the right doing her thang. The interview finally started and she asked me various questions as to how I ended up in drugs and gansterism and what kind of things I did when I was high on drugs. I told the listeners my story and when it came to the part as to how I came off from drugs I grabbed the opportunity to tell the listeners that it was with the help of God that I was set free and when I tried it on my own I failed each time. So the message was out there. It was only through Gods help that I was set free. Through the grace of God the interview went well and I could see a tear in DJ Suga,s eye while I was sharing my story. This was the first of many opportunities I would get to mention the name of Jesus to the masses. Stay tuned as I share another opportunity God availed to me to share with the masses. Well done Brent for sharing your story and giving more people hope that they can kick bad habits! It’s brilliant that you were able to mention God’s hand in your recovery and give Him the glory. Hi there and thank you for the comment.All glory and honour to God for all the great things He has done.How are you doing and whats new this year? You are currently reading Celeb for Jesus/First Radio interview I did at A JOURNEY OF A THOUSAND MILES BEGINS WITH ONE STEP.